Co-Optimus - News - Band Hero Art Style - Stolen From Diablo 3? Band Hero Art Style - Stolen From Diablo 3? In what can only be described as an inexplicable twist, it appears that the controversial art style of Diablo 3 has been copied for upcoming music game Band Hero. 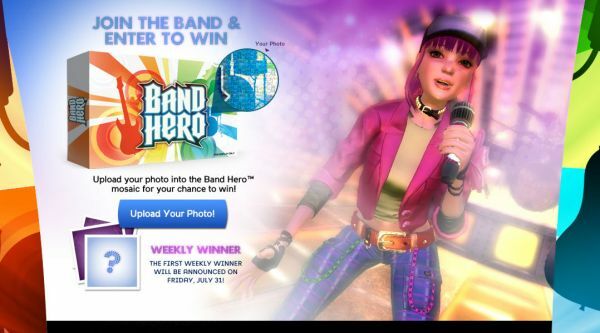 Rainbows, pastels, and even a healthy dose of pink hues adorn the official Band Hero site. We've got a few initial reactions from fans of the music game genre. "I just don't get it. The previous Guitar Hero games have been dark and somewhat gloomy. Are we going to see Axel Steel in a My Little Pony t-shirt?" "I know when I get together with my friends to play Guitar Hero, we enjoy the characters and backgrounds the most. Now that's all ruined!" "I've created an online petition, and a few friends are joining me in creating an alternate Band Hero website with the muted colors we all know and love." A few artists have been revealed for Band Hero, as well, including No Doubt, Taylor Swift, and Lily Allen. Perhaps the change in art style is extending more into the gameplay, as well? Are limited edition guitar controllers covered in pink sparkles in our future? Watch the just released teaser trailer, and then come back and bemoan the fate of the Hero franchise here!